Having worked in storage for some years I know one of the key challenges especially in larger environments is managing systems from multiple different vendors. 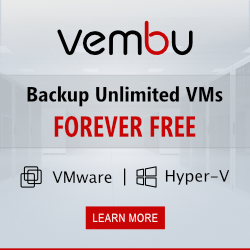 Most companies end up in the same situation, with changing purchasing policies and objectives over the years resulting in having storage systems from a number of different Vendors. Monitoring all your different systems and keeping track of their performance and health can be a challenge, since each vendor has its own set of tools. This is where Xorux is aiming to help administrators with a single product, STOR2RRD. By using STOR2RRD you can get a single web based interface that allows you to view the performance of all your different systems. 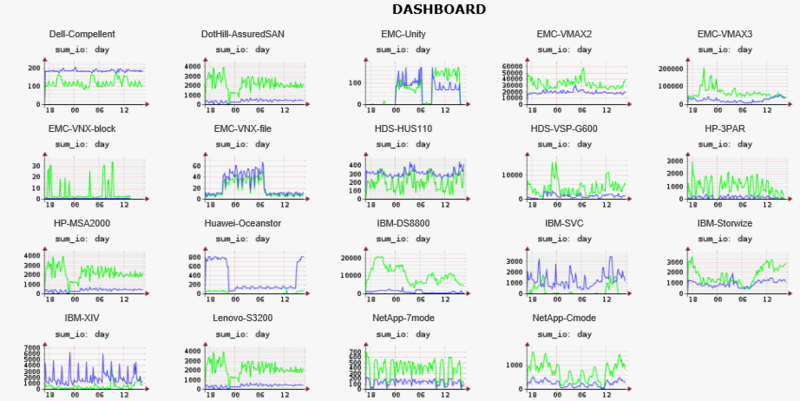 Check out the graphic below, which displays a significant number of different storage systems being monitored by a single STOR2RRD server. If you want to see if your storage system is supported you can read the full list of supported storage systems, the list of systems is significant and includes both storage systems and switches. 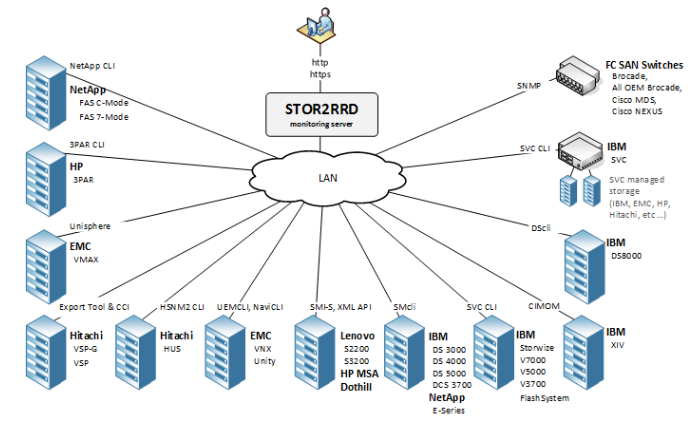 The traditional deployment model for STOR2RRD is a web server and application server both on a Linux or Unix OS. If you are allergic to black and white do not fear as a simple deployment method is available in the form of an appliance. The appliance comes in Hyper-V and VMware flavours and handily contains the webserver and application components i.e. you only need to deploy one appliance. The product is open source and distributed for free download . Also available is a SAAS hosted version of the product. Great so you have gone to the effort to deploy it, now what? The dashboard view again gives you a good feel for the fact you can monitor a large number of products from one place. Given that many 3PAR owners frequent this blog I wanted to give a demo of some of the charts available for the 3PAR system. 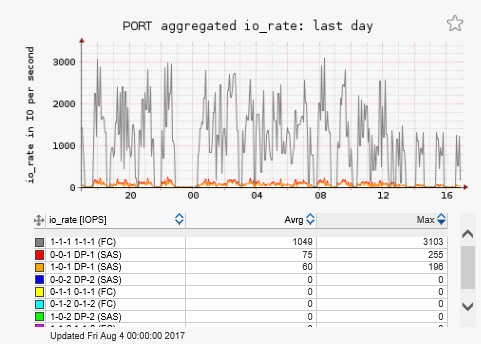 Port stats are similar you see a view with multiple time frames, I have just chosen to zoom in on the last days stats. You see the aggregated IO patterns plus a table showing the busiest ports. 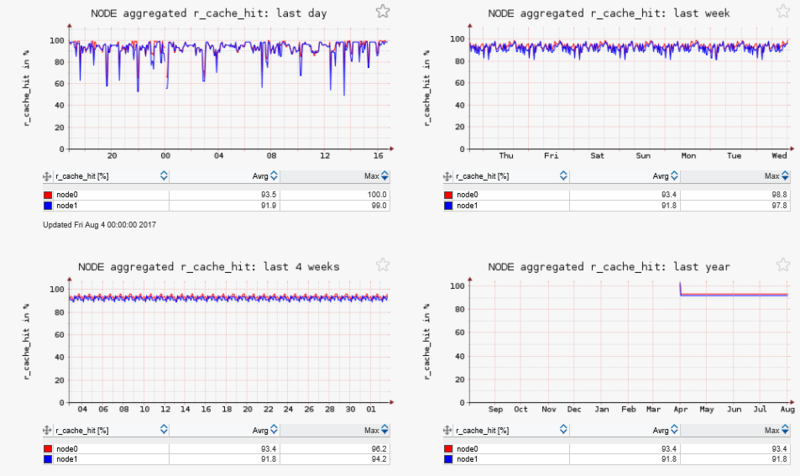 It’s a similar story for volumes you can see IO and response time stats for a range of time frames. What is nice is that you can also chose top to see the busiest volumes, you can sort the order on a range of different measures including IO/throughput and response time. I am looking at the daily view but you will see the top stats are available for a range of time frames from daily to weekly. If you are interested you can download a fee copy of STOR2RRD. Nice find Richard. Two things; first, the installation requirement says it needs 3PAR “browse” account, you mentioned “read-only”. Second, can you please elaborate on how to Add storage system to the STOR2RRD application config? How many 3par add in this application and other storage.it supported ipv6 or not? Still waiting for PRTG to be able to hook into 3Par – this looks like just the ticket until that ever happens – much obliged. Great blog, man, keep the good work. There is no such a “logtask” command… Meanwhile, stor2rrd is monitoring this array for 6 months now and everything seems ok. Couldn’t find any info on this in the internet. Any suggetion would be appreciated. User with browser rights causes that when uses ” showsys -space” command. It might happen on some specific 3PAR firmwares only, not sure about that. Totally correct! I’ve just verified it. Just for information, we’re running a 7200c on HPE 3PAR OS version 3.2.2.612(MU4)+P56 – 3.2.2.642(P59). Thank you very much dude! Very appreciated. Hi Richard, HP MSA2040 is supported by STOR2RRD? ?